Why Add Text to Photos? Taking photos has never been easier. Some estimates place the total number of photographs in the world at about 100 billion. Their content has meaning for the people who took them, and maybe the people who appear them. For anyone else, a few words of context adds enormously to their value to other people. In the paper era, they were often added on the back, or in an album. Digital photos have a huge capacity for storing data within their file structure, but this is mostly used for recording automatically captured data such as camera and exposure parameters, date and time. Geo-tagging using recorded latitude and longitude from GPS data is frequently added by mobile phone cameras. However, what people most want to know about photographs are the four W's of journalism - who, what, where and when. Computer power can be applied to answering all of these questions. 'When' is easily supplied, relying only on internal clocks in the camera. They may become confused about time zones, but an accuracy of a day or so is all most people want. 'Who' is performed increasingly well by automated face recognition, once some examples have been provided. Without examples, faces tend to be recognized as celebrities. 'What' is a question that automated image analysis (or auto-captioning) struggles with. It often comes up with accurate but uninformative descriptions as shown below. 'Where' is provided by turning latitude and longitude into a named location using a gazetteer database. Mobile phones do a pretty good job in well-populated areas,but off the beaten track, results may not be satisfactory. Digital cameras do not routinely have GPS location tracking built in. Although technology is making inroads into automatically adding the the kind of information humans want to photos, it has a long way to go and adding text manually looks like being necessary for many years yet. With social media came the meme, where the image resonates with the text rather than the text describing the image. Some memes are the electronic successors to the broadsheets and posters that have been used use to influence public opinion for centuries. However, the near-zero marginal cost of electronic production and distribution means that many more people now create them and humorous/philosophical memes now probably outnumber the ones seeking to influence people. What Software Should I Use to Add Text to my Photos? When computers were less powerful and graphical user interfaces were a novelty, information about images was often easily visible in the file browsers (such as Windows Explorer). In that environment, adding information to a file name or placing the file in a folder with an informative name was what most people did. Nowadays, applications dominate the operating system. File names and folders are not readily accessible to image viewing applications, especially on mobile devices. If it’s not in the image pixels, users won’t see it. This gives new importance to embedding information into images. 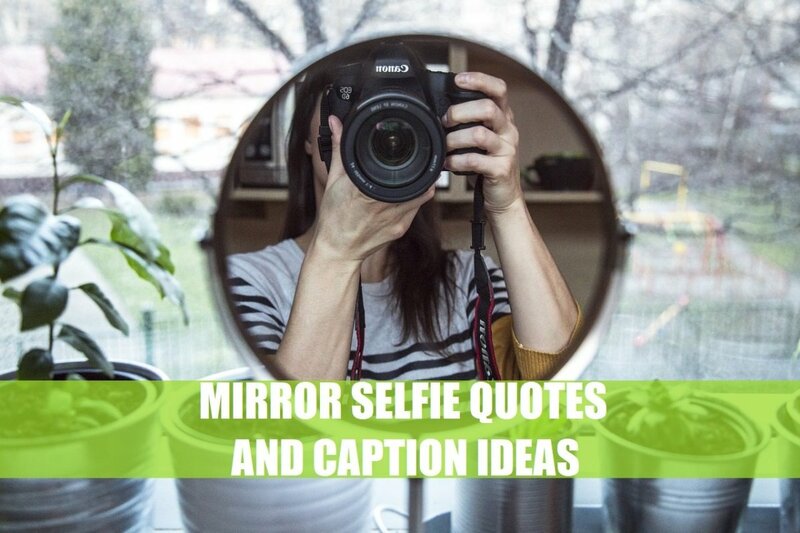 Most social media platforms offer image captioning, but the captions are placed on a web page containing the image and are only visible using that platform. If you download a single image from a social media platform, the caption (or any other metadata added by the platform) does not come with it, although if you download all your images, some metadata may be included in the download. This review looks at some of the leading software products for a range of image captioning tasks that you might conduct on a desktop, mobile device or using a Web application. These include adding names of people or places to photos you've taken yourself or creating a meme to reach as many people as possible. Different tasks need different software. The leading desktop, web and mobile apps for captioning are listed below. More detail of these and other apps follow. To locate them, type Ctrl-F and enter the Application name. A major feature of social media is the ability to upload images and videos and text relating to them. The image and text are then displayed on a web page such as that shown below. This facility is widely used, but viewing of the image and caption is restricted to the Facebook application. If the photo and video data are downloaded, images have reduced pixel dimensions and arbitrary names. Caption data such as that shown in the red box above is not included in the download. Google Photos is a very popular web-based photo editing, sharing and tagging application with impressive image analysis capabilities that make it possible to search images for a range of entities, and to group photos according to who appears in them using facial recognition. This caption display disappears after 5 seconds unless the cursor is over the caption, and is not shown at all in slideshow mode. The size of the captions is only controllable by altering the browser text size. Although Google's captioning facilities are somewhat limited, download of all Google Photos data does include metadata such as captions as a separate JSON file for each image, and the album structure is mapped to a folder structure, which makes import to other applications much easier. However, only user-created albums are included. Google Photos' grouping of photos containing a particular person, or object are not included in the download unless the album is shared. The Caption Pro desktop appplication is able to extract caption and album name metadata from data downloaded from Google Photos and generate captions and sub-captions. If files captioned in this way are then uploaded back to Google Photos, text can easily be viewed on all image displays as shown here. Almost all image editing applications on desktops, phones, and tablets provide a capability to add text anywhere on top of an image, and many will let you add a blank region to the image in which you can place your caption. The major difficulty with using such applications for captioning is complexity: users want to type their captions, not learn how to use an image editor. A further difficulty is choosing a color for the text that stands out from the photo background. The same color may not work in all the photos you write on. 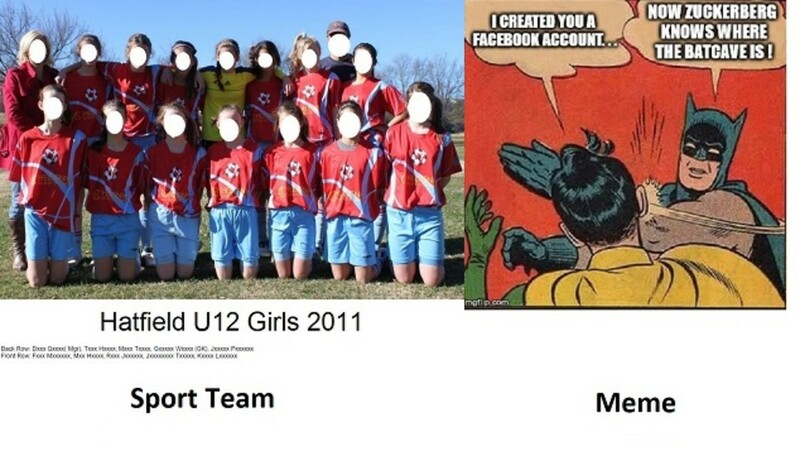 If you make a mistake (such as mis-spelling a sports team member's name) you have to re-do the whole caption. And for historic family photos, you may not want to write over any of the existing pixels. Fortunately, there are a few dedicated desktop captioning applications that address these difficulties, but support for them may not be available. The current native Windows photo management application is Photos. This is only available for Windows 10 and replaces the venerable Paint. Text can be added to the existing image via the Paint3D application, but with the limitations discussed above. However, Photos has impressive automatic image analysis, presumably in order to compete with Google Photos. It supports search using text describing objects in photos, such as food, animals, etc. in order to retrieve images containing the objects. It also performs extraction of text appearing in images, so if an image is captioned, a search for text appearing in the caption will give the image as a result. Faces are also extracted automatically and naming one will allow detection of all images containing this face. As Photos is a desktop application, the database containing all the automatically extracted data is available for enthusiasts to examine at C:\Users\<UserName>\AppData\Local\Packages\Microsoft.Windows.Photos_8wekyb3d8bbwe\LocalState\MediaDB.v1.sqlite for the current version of Photos (2019.19011.19410.0). Formerly known as Windows Live Photo Gallery, this free application is an image organizer, photo editor, and photo sharing app. It is a part of Microsoft's Windows Essentials software suite, but support was discontinued in 2017, probably due to competition from Google Photos, which offers similar functionality as a web app. However, Windows Essentials is still available for download from CNET and Photo Gallery will run under Windows 10, although the geo-tagging functionality does not work. 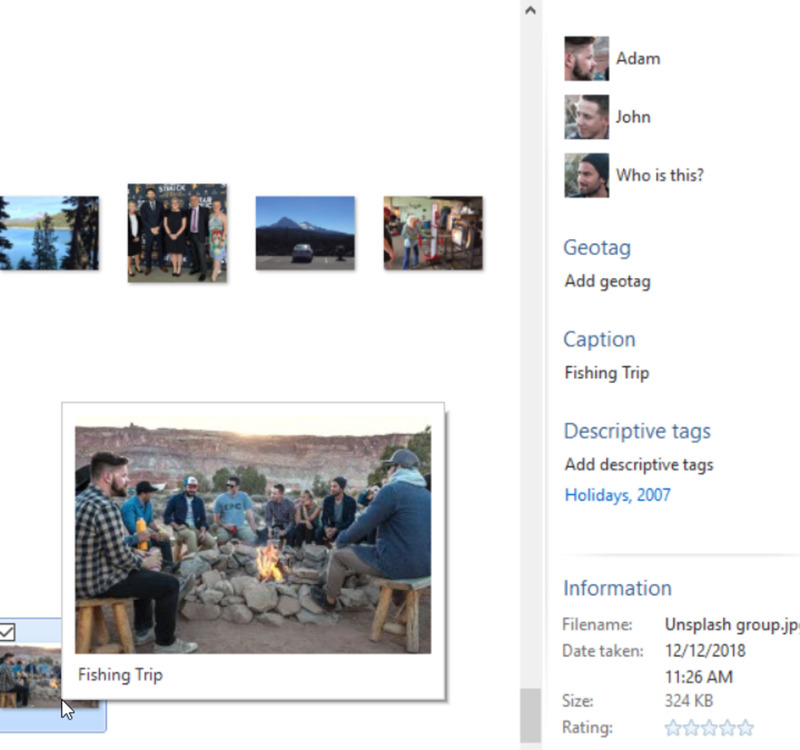 Photo Gallery offers a wide range of metadata addition including people (using face recognition to identify named individuals in other images), descriptive tags and a caption. Metadata created by Photo Gallery is not shown in image pixels but is displayed beside the image when it is selected, with the Caption displayed below. This restricts display to Windows environments with Photo Gallery installed, although the integration with Windows means that applied metadata is visible when the cursor hovers over a file which has been processed. It also shows all image files stored on local drives on startup, which may be time-consuming. Ready availability and comprehensive functionality would have given Photo Gallery a substantial user base, but lack of support means that future operation is uncertain. A blog by Jean-Paul Olivier gives advice on how to obtain the geo-tagging facility in Phot Gallery with other applications. Google's Picasa is a discontinued image organizer and viewer for organizing and editing digital photos, plus an integrated photo-sharing website. It was superseded by Google Photos in 2016 but is still available for download from CNET. Google produced Mac and Windows versions. It offers a massive range of functionality, including the addition of captions, including those with multiple lines. Its handling of multiple lines is limited. Although a new line can be initiated (by entering ctrl-enter rather than shift-enter), only the first line of a multiple line caption is visible if the caption is typed in. If a multiple line caption is pasted on, a larger area is used for the caption, but the area used is limited and overlays the image as shown below. The full caption can be viewed by scrolling in the caption region. Caption data added by Picasa is only viewable within the application, but is stored in file metadata, making it potentially accessible to other applications. Whilst it has an impressive range of capabilities (including the production of Web albums), its deprecation by Google and the fact that its captions are only visible in Picasa make of it limited utility. 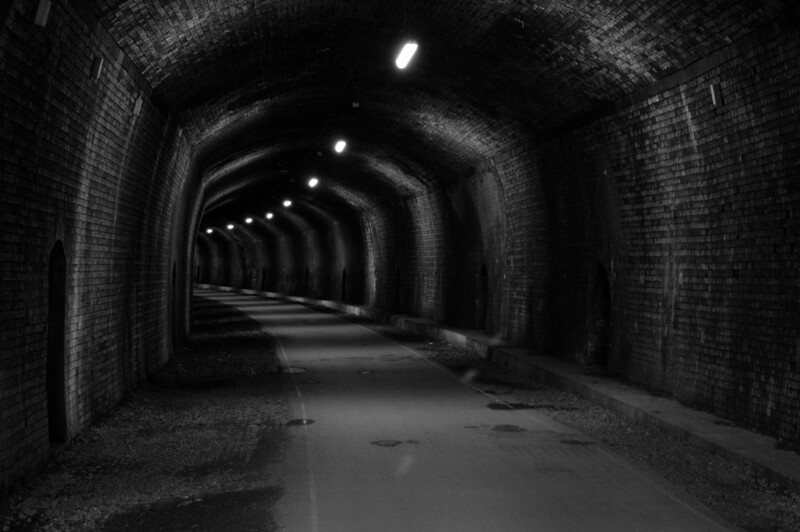 This is a Windows application from Golden Apple Software that can add up to 5 lines of captions below the image and creates a black and white border around the uploaded image, which can be in JPEG, GIF or PNG format. However, the aspect ratio of the selected image must be specified correctly otherwise the image is truncated. Although the caption font and color can be selected, there is no control of the caption size, and all lines are the same height. A watermark is added to images in the unlicensed version. A license costs A$13.39. The downloaded version threw errors when saving images. The Golden Apple Software website only describes a website builder, so it is unlikely that support is available. This simple application from Free Picture Solutions only operates on single JPEG images. The captioned image is saved manually. Caption font, color, position (on, above, or below the image) are specified numerically and multiple captions can be applied to the image to create a multi-line caption by a laborious process. Captions can be edited before saving, but not afterward. Captions can be saved as image descriptions but in this case, the image pixels are not changed. The publisher's website is accessible but does not mention the product, whose copyright date is 2014. It is unlikely that the product is still supported. Although Caption Pro (from Aleka Consulting) only operates with JPEG files, it supports editing of already applied captions by storing them in metadata and placing the caption in a strip below the original image, thus preserving the integrity of the original image and making the caption visible from any image viewing application. Captions can be added as a single block, with either continuous or multi-line text, or in two parts with different sizes for each part, making it particularly useful for team photos. Caption font size is scaled automatically to fit into the area specified for the caption bar. 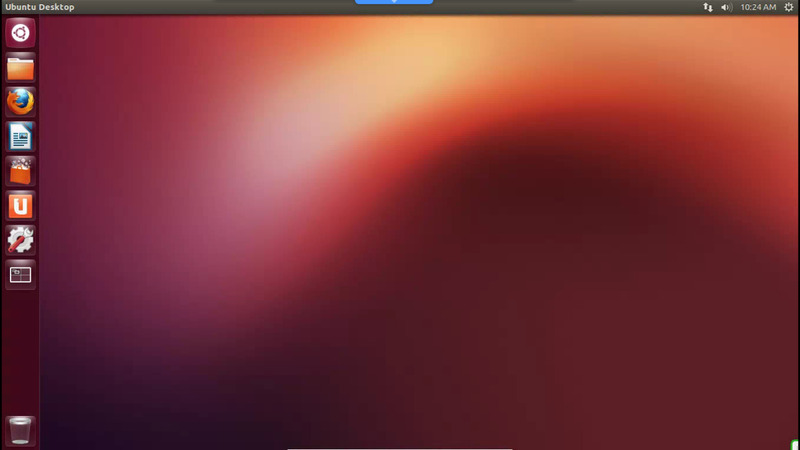 It offers a wide range of other features including captioning of multiple images, font, and background color selection, slideshow, zoom, aspect ratio adjustment, automatic captioning from geolocation or other metadata (such as that created by Windows Photo Gallery, Picasa, Google Photos and professional metadata addition programs), and a command line interface. Caption text is stored in IPTC metadata fields as well as in the image pixels and a high-quality save option minimizes processing changes, making Caption Pro particularly suitable for genealogy and archival applications. For non-Windows users or users without local administrator rights, a Web application for single images is available, and remote access to the full application via a server with Dropbox integration is available on request. It offers a free 30-day trial and a license fee of A$29 per year. The Aleka Consulting website is accessible and describes Caption Pro, which has a copyright date of 2018. Support is available. This is a free Windows application available via Softpedia, which, like Caption Pro, only processes JPEG images. It can process multiple files as well as single ones. Captions can be positioned on or below the image and caption size, font, and color can be selected numerically. Captions on the image are located numerically rather than by dragging. Multi-line captions are supported, but there is a maximum of 5 lines allowed. However, there is no auto-scaling of font size to fit the caption into the space available, and once applied, captions cannot be edited, although they can be saved as EXIF Descriptions. The user interface may be daunting to novice users. The author's website (ricksideas.com) is not accessible. The program is dated 2015 so it is probably not currently supported. This program is part of a suite of 4 programs for managing digital photo collections from CaptionsMadeEasy. 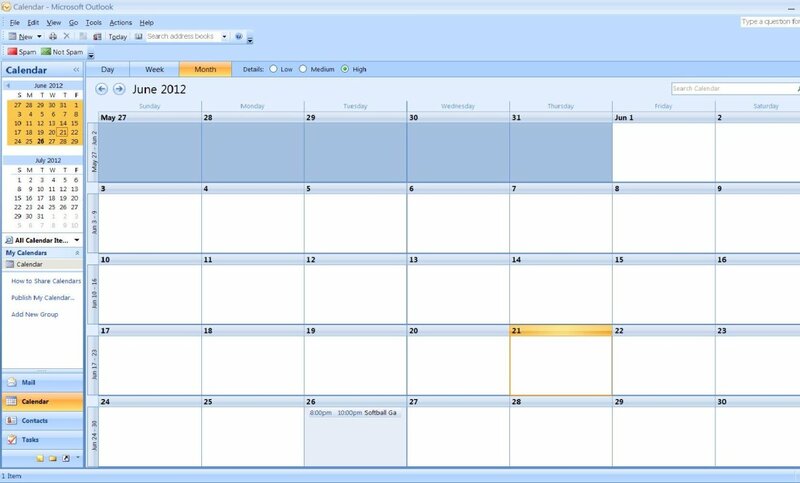 Other programs allow sorting of collections, captioning of multiple photos and correcting time information. Collections of captioned photos may be viewed as a slideshow. Like Caption Pro, it supports editing of already applied captions, but the captions are only visible with the image using the CaptionViewer application - they are stored in the Windows Title metadata field, but not embedded in the image pixels. The default caption is the date on which the photo was taken if present. Selecting one file from a folder loads other files whose names appear before it if the folder content is sorted by name. Caption View costs US$24, with other programs in the suite costing US$12. Demo mode allows viewing of fewer than 30 photos and replacement of every 4th caption. The application is copyrighted in 2015 but the company website is accessible and mentions CaptionViewer, so support may be available even though the application has not been updated for some time. Lunapic is a free online photo editor providing many image editing functions as well as captioning. It supports updating of images in the application session and positioning of captions in a number of preset positions. The image is displayed at full size rather than being fitted into the screen area, which can be awkward for large images on a desktop. Caption size, color and font are selectable and results can be posted to a range of social media as well as saving to the local machine in JPEG format. However, when posting to Facebook, the image is truncated at top and bottom in News Feed view. It has a dedicated mobile interface, with a streamlined captioning and saving interface functionality. Fotor is a freemium online photo editing application including the addition of multiple text labels. The advertisements and user help are highly intrusive, and the process of actually adding a caption requires some exploration – headings have to be dragged onto the image and then have font, size and color set. There is a custom mobile interface, but navigation is not straightforward. Sharing to a range of social media is supported, but the Facebook posting truncates the image at the top and the bottom as with Lunapic. The Pro version (no ads, cloud storage, and additional features) costs US$39.99 per year. AddText has a simple, understandable interface but upload speed is noticeably slower than Fotor or Lunapic. It has a good mobile interface. Images in GIF, PNG and JPEG format can be uploaded, copied from the clipboard (for browsers other than Internet Explorer) or dragged onto the application but downloaded images are in JPEG format. However, there were problems with some GIF and PNG files. 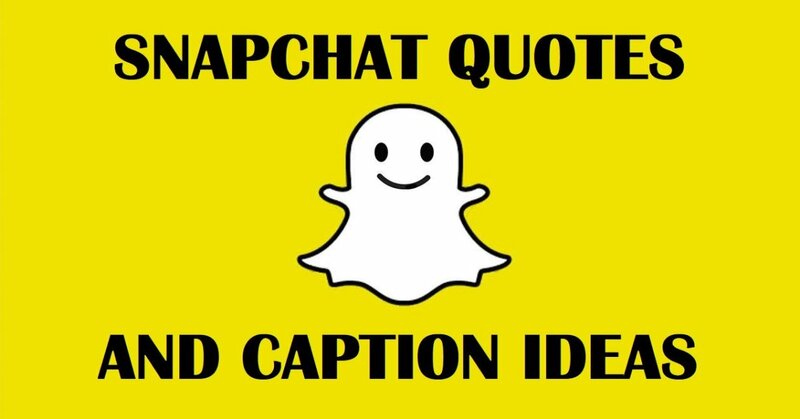 Captioned images can be posted to Facebook, Twitter, and Google+. A link is provided to the captioned image. Multiple text blocks can be placed on an image and positioned independently. The Premium version (costing US$19.95 per year) has no watermarks on the captioned image. Roflbot has a somewhat cluttered interface, with text and links to other products. The mobile interface requires magnification to use successfully. Images in JPEG, GIF, BMP format were processed successfully, but it is not clear which image formats are supported. Caption size and font can be selected from a small selection but the color is fixed. Multiple text blocks can be applied to the same image and positioned independently. Captioned files are saved in JPEG format. Roflbot can save captioned images to the local machine, FlickR, and Imgur. Other share options (LinkedIn, Facebook, Twitter, Google+, email) do not share the captioned image or do not share any image at all. Caption Pro Web offers most of the features of its desktop cousin Caption Pro, notably 2-part captioning, and the ability to edit already captioned images, but only operates on single images. It is free, but it asks users to purchase a license to hide a nag screen and remove a product label from the caption bar. 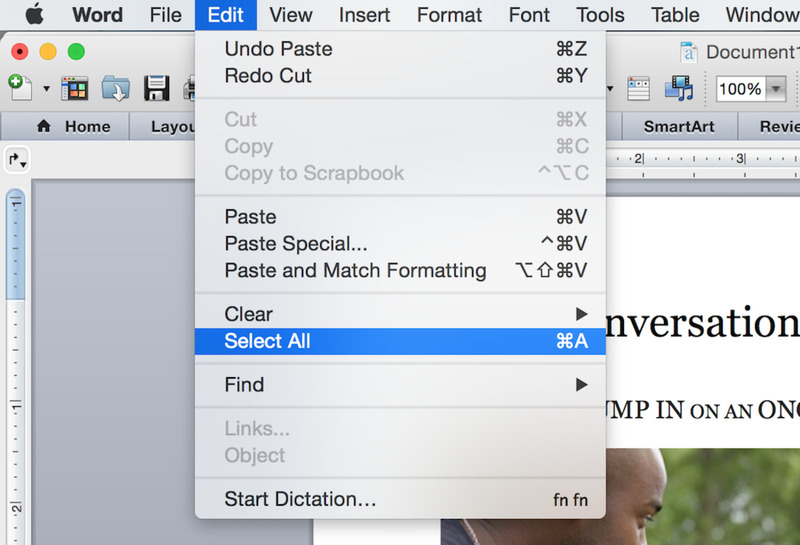 Caption Pro Web has options to select images from the Web or to paste images for captioning from the clipboard. It has a separate mobile interface which is reasonably well designed. When using a mobile device, local images can be selected from (and downloaded into) device image storage. Remote access to the Caption Pro application via a server is available on request for non-Windows devices. The server application is integrated with Dropbox to automatically return captioned images. ImgFlip is more like a photo sharing site than a web application. It is dedicated to meme creation, either by allowing you to modify existing ones, or creating a new one from scratch by putting text at the top and bottom of images. If you rate yourself as a meme creator, your memes can be picked up from here by anyone browsing the site. Upload speed is very fast, but image orientation is sometimes incorrect. You can vote for images and compete to be featured on the homepage. ImgFlip stores memes, but only if they get enough votes. Downloaded files carry a small watermark, which can be removed in the Pro Version, which costs US$9.95 per month and offers additional functionality, including personal storage of your memes. With the pervasiveness of mobile devices, apps for processing images from built-in cameras in-situ are numerous. 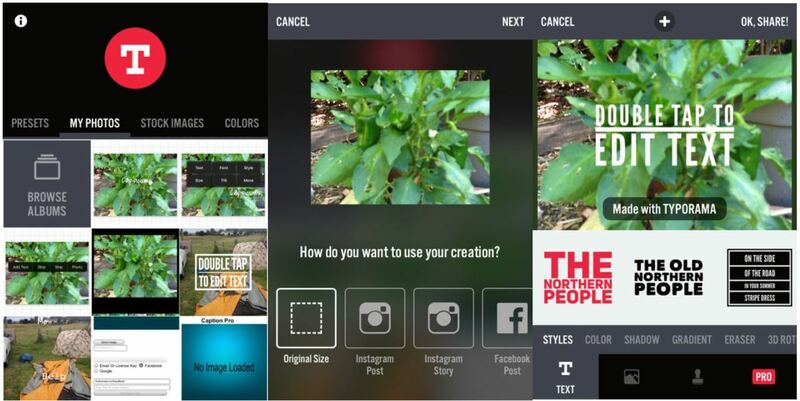 Native photo apps such as iOS Photos for iPhone and iPad, and the equivalent application built into Android phones and tablets offer facilities for adding text to photos as part of their image editing capability. The functionality offered is generally less than the dedicated apps. As mobile apps do not have to upload or download data, they operate faster than web applications and are generally better designed to accommodate the small touchscreen interfaces used by mobile devices. More details of two of the most popular follow. After selection of the input image (from Photo Album, or direct from camera) Phonto offers various filtering and cropping options as shown above (left). After tapping Done, a box with various options including Add Text at the left appears (center). Clicking this allows the definition of the various aspects of the text (right). Clicking the boxes beside Add Text shows the same screen, but with the text shown in the box. Phonto is available as a dedicated freemium captioning app for Android and iOS platforms (iOS 9.0 or later). As a mobile-only application, it offers a clean interface with appropriately sized controls and a massive range of graphics options. The captioned image is included in the email body rather than as an attachment. Posting to Facebook does not post the captioned image (at least from iOS), but the one from the main web page. Other posting options are Twitter, Instagram, and Messaging. As a freemium app, there an advertising banner at the top of the screen, which can be removed on payment of US$2.99 to the iTunes store (for iOS). 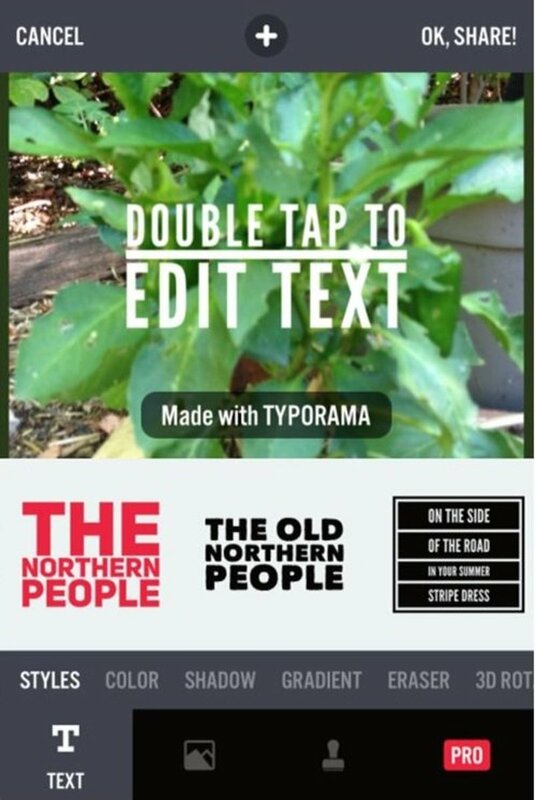 Typorama is a well-designed freemium mobile app (iOS only) offering photo editing features as well as text addition. It provides a set of stock photos as well as access to device Photo Albums as shown above (left). After selecting your image, you choose what to do with it (center). The captioning interface then appears (right), with a range of other options for the Pro (paid) version. Once applied, captions can be edited within the application, resized, tilted and restyled. Posting to social media apps, such as Facebook, Instagram, and WhatsApp with a single click is supported, as well as saving back to the Photo Album. Typorama is the only application to show images posted to Facebook in their entirety within the News Feed. Payment of US$9.99 for the Pro version removes ads and a “Made with Typorama” watermark applied to all photos. Cloud storage is one of today's buzzwords. It provides a way of making electronic documents available on any platform - mobile phone, tablet, or desktop. Make a change to a photo stored in the cloud from any one of these platforms and it will be available on all the others. The changes are propagated by synchronization, so the captioning program is always able to accessing a local file. 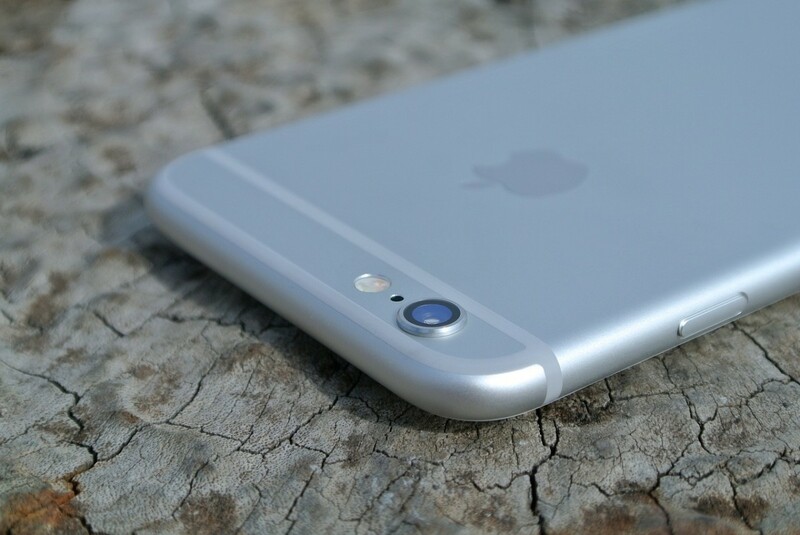 However, apps installed on mobile devices may not recognise images from cloud storage from another vendor: on an Apple iPhone 5 running iOS 9, locally installed Web apps did not see Microsoft OneDrive cloud stores. Whether the apps and Web apps can upload from Google GDrive and Apple iCloud was not tested. Web applications running on Safari did see the OneDrive stores but could not upload from them. On an Android phone and tablet, Web apps could see and upload from OneDrive stores. In summary, files in cloud storage synchronised with local folders may be visible to captioning applications on mobile devices, but this cannot be relied on. Don't let any software give the impression you won't have to do any work. If you live on your mobile, keep your photos there, and want to write on top of the photos, a mobile app probably the way to go if the text markup facility in the native image editor isn't enough. 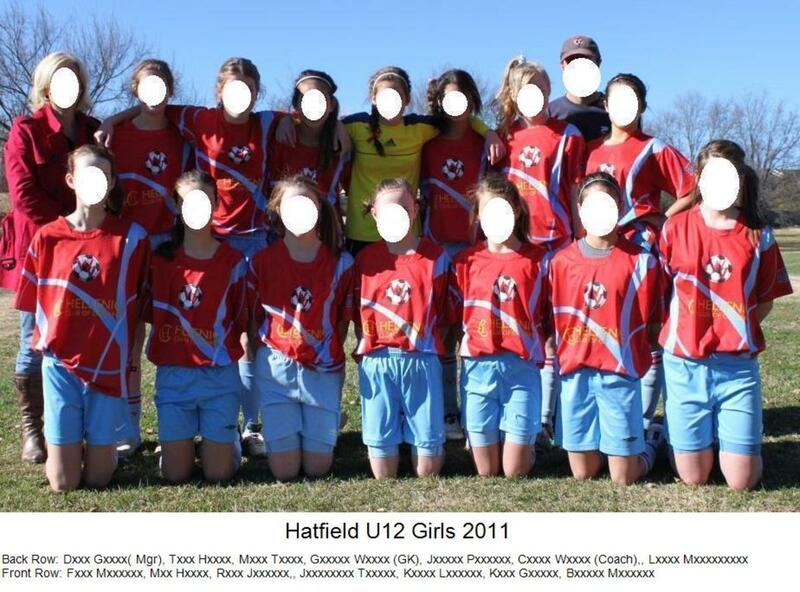 Typorama wins for slickness, but you'll have to pay to get rid of the watermark. Phonto and Lunapic are close behind, and free. If you're making a meme then ImgFlip web app gives it easy to spread your work as well as create it. For desktop or tablet users, any photo editing software will give you complete control of where you put the text, but be prepared to climb a steep learning curve to find out how to do it. Outside Caption Pro, most dedicated captioning applications are unsupported, so what you download and install is all you'll get. 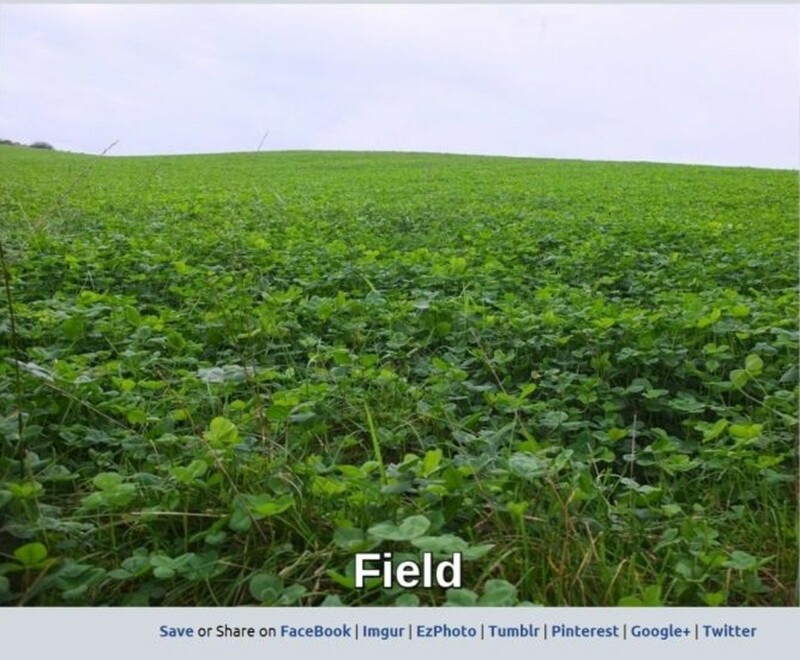 Caption Pro for Windows is the clear desktop winner. It leaves your photo pixels unchanged (which is ideal for family or historic photos) and lets you just type the captions. The ability to edit captions after you've applied them is a real bonus. It can also handle large numbers of images (such as holiday photos) in a streamlined fashion and support is readily available. Mac users will have to use the Caption Pro Web or arrange remote server access. Don't let any software give you the impression you won't have to do any work. If you come back from a vacation with 5000 photos, just looking at each of them to make a smaller selection will take you hours before you even think about captioning. If you're dealing with a box of parents' or grandparents' photos that you'd like to share electronically, the scanning may take days before you start delving into the content. But the reward is knowing that whatever information you put on your photos will remain attached to the image whatever channels it passes through. Why were you captioning your photos? What software have you used for captioning? What did you think of software you have used for captioning? If you answered 'Other' to any of the polls I'd like to hear from you so I can extend the scope of the review.